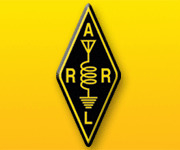 Join W1AW Station Manager Joe Carcia, NJ1Q, on a virtual tour of W1AW, the Hiram Percy Maxim Memorial Station, the Amateur Radio station at ARRL Headquarters in Newington, Connecticut. Carcia will lead this tour via a live webcast on Sunday, February 12 at 5 PM EST (2200 UTC). Anyone with an Internet connection will be able to watch the tour here. Al Petrunti, KA1TCH, of the New Day Group, will follow Carcia as he leads viewers through the station. ARRL Staff members, including Media and Public Relations Manager Allen Pitts, W1AGP, and Chief Operating Officer Harold Kramer, WJ1B, as well as local television weatherman Geoff Fox, K1GF, will also be on hand at W1AW during the tour. “Hams around the world know of W1AW, and thousands have made contacts with this impressive station -- but most hams never get to see it,” Pitts said. “Thanks to Al Petrunti’s group, we hope that folks enjoy seeing what’s at the other end of the signals. As in all live broadcasts, you never know just what might happen. We invite you to join us.” Pitts is producing the live web tour. This is the second video that the New Day Group has made for the ARRL. In 2011, they created the HR 607 video that educated radio amateurs of a bill in Congress that addressed certain spectrum management issues, including the creation and maintenance of a nationwide Public Safety broadband network using current Amateur Radio spectrum.